Have a bunch of bananas sitting on your counter that are past the stage when they are good for eating? Sure, you could put them in a smoothie, but why not whip up a loaf of this easy banana bread? When I was a kid, I didn’t really like bananas. But my mom’s banana bread? That was heaven. It was moist and delicious; perfect spread with a thick layer of butter. She loved to make it when our friends came over or when we had brunch guests. This is my Paleo-fied version of her wheat-based recipe. I used coconut flour and arrowroot — both of which are available at most health food stores — instead of wheat flour. This loaf is nut-free, grain-free, and contains no refined sugar. Eggs contribute a sizable amount of nutrients and protein. As an added bonus, coconut flour is full of fiber and is low in carbohydrates. 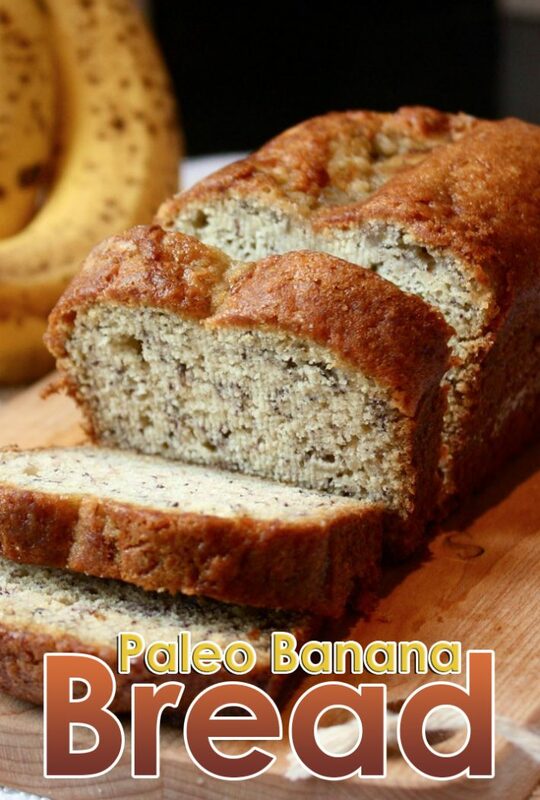 But making this paleo banana bread in a healthy way doesn’t make it any less easy to make. Just mash some bananas, mix in some eggs and few more ingredients, and bake! It takes just a few minutes to prep the batter for the oven. Set the timer, walk away, and when the timer beeps, you’ll have a beautiful loaf of banana bread. Even non-Paleo eaters won’t guess that this soft, fluffy, sweet bread is free of grains. Serve with some soft butter or some fruit-sweetened jam for an extra-yummy snack. The leftovers are wonderful chilled or made into a Paleo version of french toast. 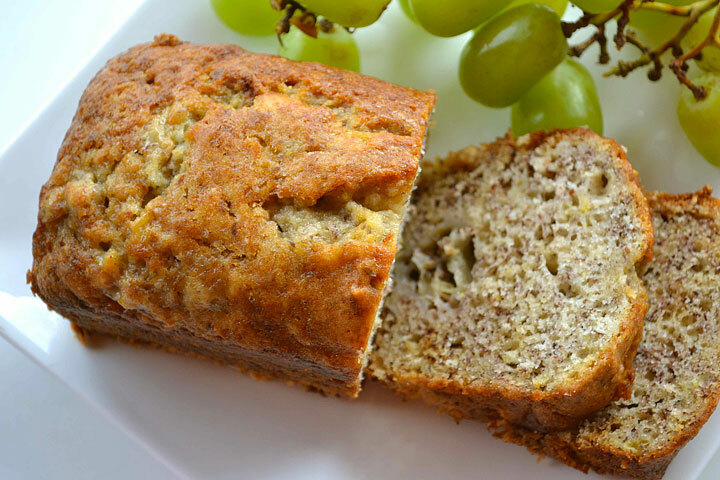 So use up those ripe bananas and make a loaf of Paleo banana bread – you’ll be glad you did! Grease a 7.5” by 3.5” loaf pan with a bit of coconut oil. In a large mixing bowl, mash the bananas and mix in the eggs, honey, and coconut oil. Add the coconut flour, arrowroot, cinnamon, baking soda, and salt, and mix well. Transfer to prepared loaf pan. Bake for 45-50 minutes, or until a toothpick inserted near the center of the loaf comes out clean. Let cool a bit, then remove from pan. Either let cool all the way and serve room temperature or chilled, or slice and serve warm.